Dharamshala: His Holiness the Dalai Lama expressed his condolences today to the followers of Dr Sree Sree Sree Shivakumara Swamiji who passed away at the venerable age of 111. “I had the privilege of meeting Swamiji at Tumkur University several years ago,” His Holiness wrote. 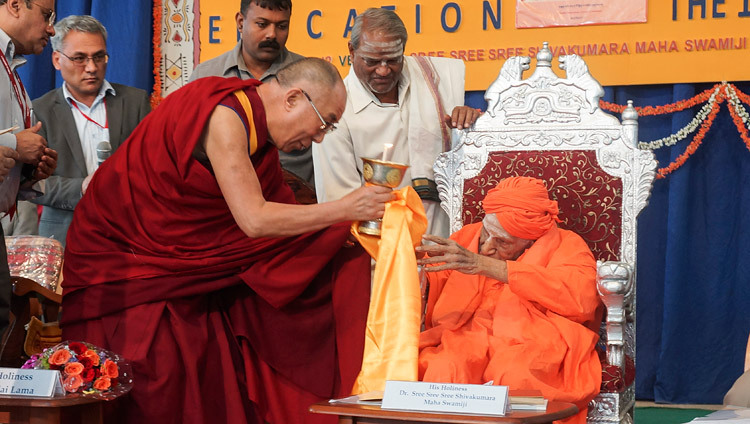 “I admired his dedicated service for the benefit of the poor, especially the many educational institutions Swamiji set up for them,” His Holiness the Dalai Lama said.